Put your relationship to the test by hitting the road together! 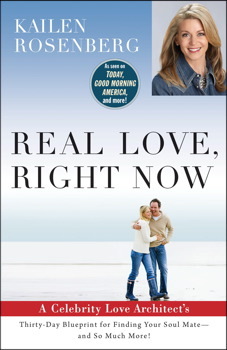 Learn why, from Real Love, Right Now. This may sound strange, but before getting serious with a partner, I highly recommend going on a road trip together. You will learn so much about this person by seeing how they handle everything from road snacks to road rage, and this is all information that you need to have before getting seriously involved. The trip itself doesn’t have to be across the country. Start out on a fun note by giving each other the assignment to come up with a few places that are about four hours away by car. Get together and present your ideas to each other, and then pick one together and plan your trip. Don’t discuss ahead of time what you’re going to pack for the trip. You’ll learn much more by seeing what he or she chooses to bring when left to his or her own devices. At the same time, you should show up with whatever you would normally pack for a road trip. You want to present nothing but your true, authentic self on every part of this trip. If you would normally bring a bag of chips to munch on in the car, bring that. If you would prefer to spend hours cutting up fresh veggies to bring, do that. Also bring your favorite music and some fun road games that you remember playing with your family as a kid. It’s healthy and fun to bring child’s play into your relationship at this point. On the trip, your job (in addition to being your true self the whole time) is to pay attention. What is your reaction to this person’s music choices? How does he or she handle traffic or the stress of getting lost? How hard or easy is it to agree on where to stop and eat? Are you having fun? Can you see yourself doing this for another forty years? Don’t attach too much to any outcome. If you go on the trip feeling like it really, really needs to work, you won’t be able to see things as they truly are. If the other person ends up driving you crazy or offending you in some way, be grateful for having this information now rather than feeling disappointed. This is God’s way of protecting you from getting further involved with someone who is not right for you. At the same time, don’t worry about impressing the other person or convincing him or her that you are the right one for them. Don’t try to be anything other than what you really are. If your true self does manage to impress them, that is wonderful, but you can’t force it.